Today’s Answers From Leadership podcast guest is Colleen Hammond. Colleen is an international best-selling author, stylist, speaker, comedienne, and mother — all rolled into one! A former On-Camera Meteorologist for The Weather Channel, model, actress, and Miss Michigan National Teen-Ager, she has decades of experience helping people craft their message with their image so they can get the job of their dreams, and the partner of their dreams. Colleen delivers an enduring message filled with down-to-earth wisdom, inspiration, and humor. I have a real strong background in television and radio. I was also Miss Michigan Teenager when I was 17. I’ve gleaned something new from every leader that I’ve worked with. And I try to take that and encapsulate that. 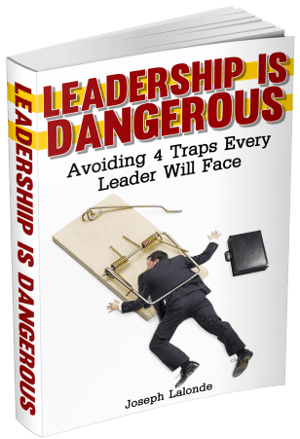 Is there a leadership failure that you could share with us? Early on, I left the Weather Channel as I was negotiating with the Today Show to take Willard Scott’s place. If you don’t know Willard, you probably know Al Roker who got the job I was auditioning for. It was during these negotiations that we were supposed to fly out to sign the contract and I was pregnant. And my doctor didn’t want me to get on the plane to fly out to New York. So I postponed the trip. Then, when they placed my baby in my arms, I felt a rush of oxytocin. I had no idea what was going on. After much prayer and consideration, I decided to leave the entire television industry. It’s at this point that I became an image consultant. In my 20’s, I thought the best way to lead was that everyone had to like you. That I had to be friends with everyone. And I think that’s the biggest mistake I made. That the buck had to stop somewhere. That someone has to be the leader. And someone has to be the followers. What’s a leadership success you’ve had? I think a leadership success is when you can look and see that everyone was happy, you inspired people to something that is ethically and morally a good thing, you helped other people, and everyone was helped in the process and everyone gained something from it. Do you believe leaders should pay attention to their fashion sense? Not so much fashion, but their image. Image can be boiled down to a number things. People will make an instantaneous first impression of you. You’ve got 7 seconds. When people turn and look at you when you walk into the room, there are 11 things that people will determine about you within 7 seconds. Just by glancing at you. Are you going to be comfortable in the board room with @realDonaldTrump or are you better off with Honey Boo Boo? What can a leader do to make a better impression if they’re not making a good impression currently? The first and foremost would be to watch your colors and grooming. Colors tell a huge story. Going back to the debates, you’ll notice politicians wear blue suits. Knowing that the color blue sends a loyal message. That you’re honorable and trustworthy. So, think about companies that use blue in their logos. IBM, GE, that type of thing. It’s very loyalty oriented. Red, is a power color. Red is authority. Red means I’m in charge. Now, if they wear a red and blue tie… It subconsciously sends out the message that I’m an authority but I’m also an equal. Do you have any tips on where someone can go to learn about body image? If people go to my site, colleenhammond.com, I constantly am coming out with new information. It links to everywhere. I have links to lots of free YouTube videos. And I realize that everyone’s coming from a different financial standpoint. There’s enough free information that I think can help people. But if people want to go deeper, I have stuff that goes deeper as well. 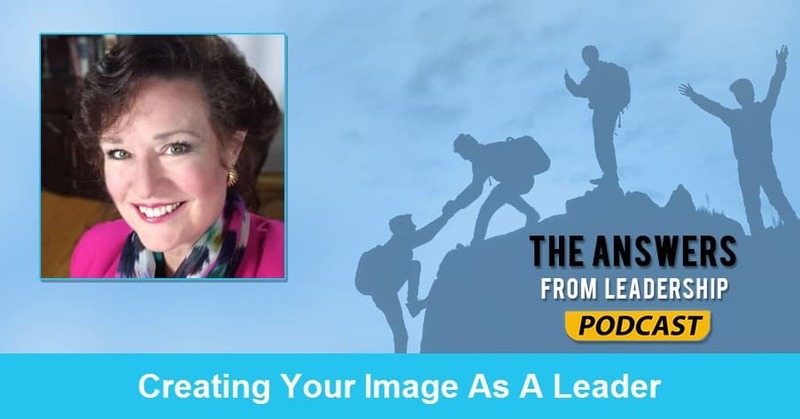 Have you seen a leader’s body image impact his ability to lead? Absolutely! There’s a lot of studies that have been done on this topic. There was one study where participants were given a white coat to wear. Some people were told it’s a doctor’s coat. Others were told it was a painter’s coat. Based on what people thought they were wearing, determined how well they did on a test that was given. Do you have any tips on how to dress well for body image on a budget? I’m huge on being on a budget. I teach my clients if you want to dress really well, go to a Goodwill or thrift store in the wealthy parts of town. Amazing the deals that you will get! So, that’s one really important tip. The second tip is to develop a uniform. There are people who wear uniforms all the time and you don’t realize it. You can’t make everyone happy. Focus on your own mission. Pray on it. Know that you’re making the ethical and moral decision to do the next right thing. Can you recommend one book/resource that will help a leader grow? Is there anything else you’d like to share with the podcast audience today? 1. You have 7 seconds to make a first impression. Question: How have you been impacted by body image? Has it impacted your ability to lead? Share your thoughts in the comment section below.